Midshipman Henry Waterhouse arrived with the First Fleet aboard HMS Sirius. He was the eldest son of William and Susanna (Brewer) Waterhouse, born 13 December 1770 and christened 28 December 1770 at St James Middlesex. William had be page to the Duke of Cumberland who was Henry’s god-father. He entered the navy at an early age (16) and on 20 November 1786 joined HMS Sirius as midshipman (having been recommended to Captain Phillip), raising to the rank of acting third lieutenant on 28 December 1789. At Port Jackson he was involved with other officers in making surveys of the harbour and surrounding land, showing a strong interest in the country and inhabitants. When HMS Sirius was wrecked at Norfolk Island he lost his collection of native implements and other souvenirs. He returned to Port Jackson aboard HMS Supply (signed on 23 March 1790) and continued his duties, accompanying Governor Phillip on some of his journeys. When Phillip was speared by aborigines, Waterhouse lifted him into a boat and cradled him back to the Cove, which took two hours. He returned to England by Waaksamheid in 1791, taking home a parrot and squirrel as gifts from Phillip to Lady Catham. Waterhouse returned to the colony in September 1795 as second commander of the HMS Reliance having signed on 26 July 1794. He had the power to act in John Hunter’s absence. Amongst her crew and passengers were Matthew Flinders as midshipman, George Bass as the ship’s doctor, the new Governor, John Hunter, and the Aboriginal Bennelong; whom he taught Bass some of his language during the voyage. Waterhouse sailed to the Cape of Good Hope in 1796 to buy stock and returned with the first merino sheep to land in NSW. They were to transform the local stock. During the 1797 voyage returning from the Cape of Good Hope to New South Wales the Reliance encountered heavy seas and was extensively damaged, requiring repairs at Port Jackson. Waterhouse later made several voyages in Reliance to Norfolk Island, a winter passage around Cape Horn to St. Helena and to England, encountering many gales en route, but all this had little effect on the timbers used in the repairs. It will be necessary to observe, that there is so much resinous gum in the Wood, that it appears to be impervious to Water — for many Logs, on the first forming the Settlement in 1788, were cut down, and rolled into the Water (Salt) to clear the land — which Logs when taken up again in 1798, were as sound as when cut down — not the smallest appearance of decay. The stumps of which Trees were blown with gunpowder, bored with Holes, and filled with mud and Water, and of course constantly exposed to the weather after remaining in this state more than eleven years, no appearance of decay shewed itself. I am therefore induced to think the Wood of New South Wales more durable than Oak or the Teak. Although he received small land grants and leases he did not remain in the colony and returned to England with the Reliance in March 1800. Reliance was the first ship to chart the Antipodes Islands. Back in England, he was a witness to his sister Elizabeth when she married the Surgeon, Sailor and Explorer George Bass in 1803. Although he never married, he had fathered an illegitimate daughter Maria by Elizabeth Barnes (Lady Juliana) on 11 June 1791. Elizabeth was buried in Sydney on 9 April 1794 following the birth and death of her second daughter Rebecka by Thomas Smith. 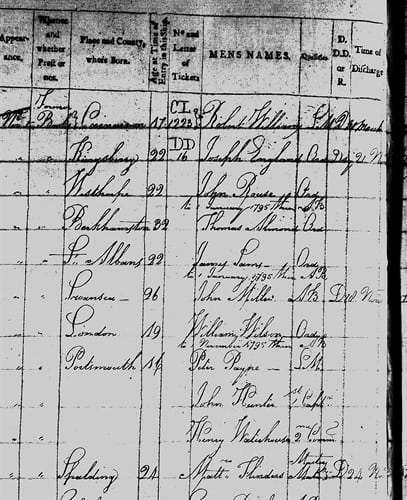 Maria was sent to England with William and Elizabeth Paterson on the Britannia in August 1796 to join the Waterhouse family. 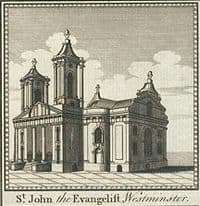 Captain Henry Waterhouse RN died at his father’s home Smith Street Westminster and was buried on 5 August 1812 at St John the Evangelist, Westminster. His obituaries are in The Gentleman’s Magazine, under Obituary: with Anecdotes of Remarkable Persons, July 1812 and the Salisbury & Winchester Journal, Monday 17 August 1812. William Waterhouse was sole beneficiary of his son’s Will. Waterhouse Island in north-eastern Tasmania was named in his honour by friend Matthew Flinders; (on 28 September 2011, 107 hectares (260 acres) of the island was proclaimed as the Waterhouse Island Conservation Area). The Captain Henry Waterhouse Reserve, Jeffrey Street, Kirribilli NSW, commemorates the significant contribution he made to the development of New South Wales between 1788 and 1800.